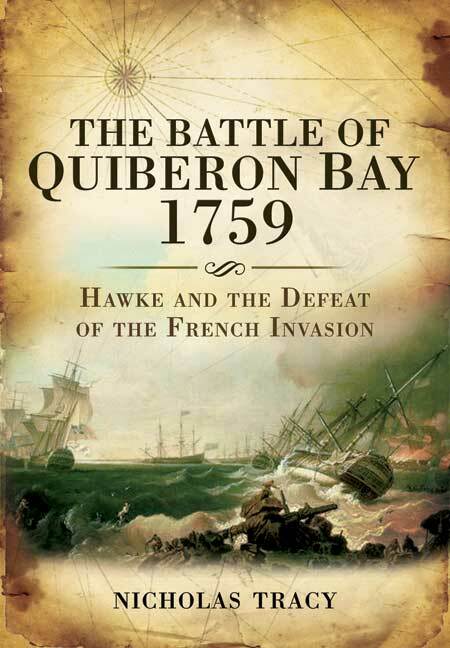 You'll be £4.99 closer to your next £10.00 credit when you purchase The Battle of Quiberon Bay, 1759. What's this? Revered naval theorist, Alfred Thayer Mahan, thought the Battle of Quiberon Bay (20 Nov 1759) was as significant as Nelson's victory in 1805, calling it 'the Trafalgar of this war [the Seven Years War]'. Arguably it was even more vital. Britain in 1759 was much less well-defended, with virtually no regular troops at home, and the threat of French invasion was both more realistic and more imminent. When the British fleet under Admiral Hawke fell upon them, the French ships of the line under Admiral Conflans were actually on their way to rendezvous with the invasion troopships gathered at the mouth of the Loire. Yet the battle and the admiral remain relatively obscure - there is no Quiberon Square or Hawke's column. The battle itself was fought in terrible weather, the French attempting to exploit their local knowledge by heading for Quiberon Bay, assuming the British would not follow them among its treacherous shoals in such conditions. Hawke, however, pursued them under full sail and the French ships were destroyed, captured, run aground or scattered for the loss of only two British ships which ran aground. The invasion was thwarted. Professor Nicholas Tracy studies the battle and its strategic consequences, particularly upon the war for North America. Nicholas Tracy is Adjunct Professor of History at the University of New Brunswick and Associate of the Milton Gregg Centre for the Study of War and Society. His many previous works on naval history include: Who's Who in Nelson's Navy (Chatham, 2006) and Nelson's Battles (Chatham, 1996, reprinted 2001).He lives in Canada. The book has many excellent attributes. Thos unfamiliar with the theatre of operations have a number of maps and illustrations of the coastline to consult. The other illustrations support the text. The appendices include the entries from one of the British logs covering the battle, and a song inspired by it. The work is firmly grounded in British manuscript and printed primary sources, which are easily identified thanks to the bibliography. Tracy also consulted the appropriate secondary literature, and capably integrated in into his book. From a British perspective this is a definitive study. Britain in 1759 was much less well-defended, with virtually no regular troops at home, and the threat of french invasion was both more realistic and more imminent. Dr Nicholas Tracy is a member of the History Department of the University of New Brunswick, and an associate of the Gregg Centre for the Study of War and Society. He has written extensively on naval strategy, tactics in the age of sail, art history, and biography, and is now engaged in a study of Canada's use of naval forces following the end of the Cold War. He is an experienced yachtsman and brings his understanding of the sea to bear on his descriptions of naval warfare. Though "Nelson's Battles" is his first book to appear in the Seaforth Publishing imprint, Tracy has worked for many years with the Seaforth team.